There is a big difference between hiring staff for your small business compared to recruiting within a larger organisation. For a start, not only will you be hiring less staff but it is likely that you will be seeking an employee with a wider range of skills, greater flexibility, accountability and commitment. When beginning the recruitment phase, it is important to look for people who will not just suit your needs with regards to skill and expertise, but who also fit into the overall culture of your small business. Most small business owners wear many hats and don’t have a dedicated human resources department. They are also often extremely time poor and, as a result, do not have much time to spend on the preparation and planning stages of an interview. However, I would like to stress the importance of ensuring you make the time to prepare some good questions which will ensure that you recruit the right person for the job. In doing this, you may just save yourself a whole heap of time later on if you discover you have not employed the right person for your business. Questions such as “What animal would you be?” or “What is your favourite food?” are not ok. Not only do they tell you very little about the substance of the candidate but it is likely they may be considered discriminatory or inappropriate. Even if you are a solopreneur, it is always good business practice to be 100% professional in an interview. Word of mouth spreads fast and you never know who your interviewee will share their experiences with. Be sure to keep in mind that every time you interview someone you are creating an impression of your business to the outside world. Don’t do all the talking. It is fine to tell the candidate a little bit about your business and the role but then get straight into asking some questions. A good place to start is by asking the open question “Tell me about yourself ”. The answers you receive to this question can tell you a great deal about this person in the first few minutes. Think up a fact-finding question where you can confirm any information included in the candidate’s resume. This will also help them warm up and relax and assist them to feel more comfortable in responding to the more di_ cult questions you ask later on in the interview. The truth is, when you ask a hypothetical question, you get a hypothetical answer. These days people are skilled enough to tell you want you want to hear, rather than the truth of what they really did or would do! Take a leaf out of big business’ book and ask a few behavioural questions such as “Tell me about a time when…” Behaviour-based questions will focus on what a person has done in the past and the success they enjoyed as a result. Not only will this help you work out if the candidate is a ‘good fi t’, it will also give you a strong indication of future behaviour. Make sure you ask questions specific to small business such as initiative, flexibility, problem solving, ability to work on your own, ability to work under pressure and multi-tasking. Talk less. It’s better to ask short follow-up questions such as “What happened next?”, “After this?”, and “What was the end result?” Let them tell you the whole story in their own words. 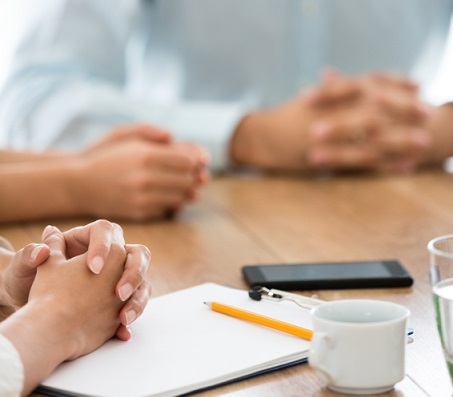 To wrap up, make sure you have a closing question, such as, “If this was your business, why would you hire you?” This is a great opportunity for the candidate to showcase their own unique skills and talent that they may not have had the opportunity to raise during the interview process. Running a successful small business is often about trust, so make sure you employ someone you have belief in and you feel you can depend on. If you fill your business with staff who are self-motivated then you can be sure your business is on the right track. To conclude, the culture and success of your small business will be determined by your people. So, next time you are looking at taking on new staff, make sure you do yourself a favour by taking sufficient time to plan your questions, giving consideration to the type of business you run. This will assist you in finding the right person every time. This is a slightly amended version of an article written by Sarah Derry, director of People Reaching Potential. It has been shortened to make it suitable for web publishing.